Thanks to John Fenton at the Jazzlocal32 blog for his glowing review of the Blueprints Trio show in Auckland last week! Steve Barry left these shores many years ago and these days Australians count him as their own. It is hardly surprising that they do because since his departure he has raked in the accolades, won numerous awards and completed a Doctorate. Given the above, we can hardly begrudge his move. Music is like water it will always find its level, no matter where the wellspring. Everyone on the New Zealand Jazz scene looks forward to Barry’s yearly trips home as he never rests on his laurels. He brings us new and diverse projects and above all he showcases innovation. The ‘Blueprints’ Trio is a good example as it was formed primarily as a vehicle for his doctrinal compositions. For any student of pianism, these works are compelling as they combine strong elements of modern classical composition balanced against Jazz innovation. That Barry achieves this with such clarity, while never completely abandoning the history of jazz speaks strongly of his vision. Very few can achieve this without the music sounding contrived or lopsided. Barry’s compositions, although often challenging, are neither. Audiences listen and above all they smile as the music unfolds. Picking the references and enjoying the journey beyond. Those with a sense of history will hear Monk and Strayhorn; others will hear new music and neither is wrong. The YouTube clip that I have posted illustrates this clearly as there are distinct Monkish references. When you listen closely though, you realise, that this is a twenty-first-century version and a Monk who has absorbed a whole lot of very contemporary ideas. The angular leap into ultra-modernity is abetted by his Australian bandmates; both completely at home in this adventurous new world. 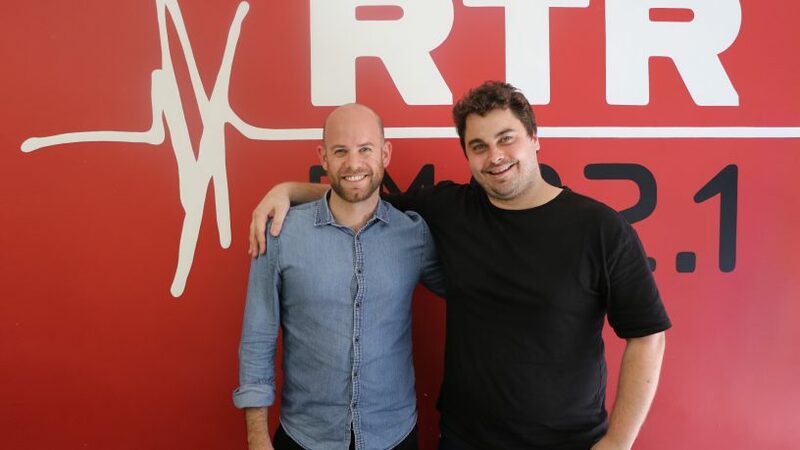 I had a fun chat to Will Backler at RTRFM 92.1 this afternoon about the gig tonight in Perth with the bass-less permutation of the ‘Blueprints’ trio, featuring Jamie Oehlers on tenor saxophone and Daniel Susnjar on drums. Audio here! Gig at the Ellington Jazz Club for the Perth Jazz Society, music from 7:30pm, $7/15, in a double bill with the Sarah Ramsey Duo. 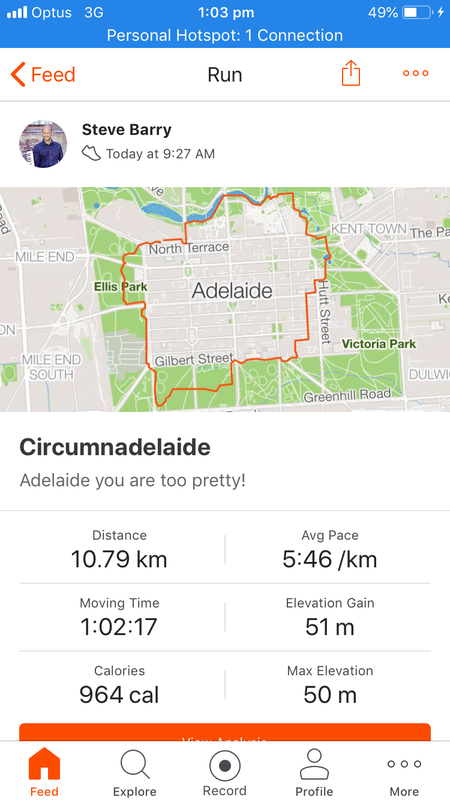 Adelaide, you are too pretty! Big thanks to COMA for hosting the trio last night - next stop MONA - Museum of Old and New Art on April 6th, via Butchers Brew Bar in Sydney on Weds 3rd for organ jazz with Bruer/Barry/Hirlian JB3! I'm also over the moon to be visiting Tasmania and playing with Australian jazz legend Ted Vining for the first time, as well as reuniting with some old comrades in Cameron McArthur and Ron Samson in Auckland, with an ongoing bass-less trio with Jamie Oehlers and Daniel Susnjar in Perth, and two new 'standards' trio combinations in Melbourne and Brisbane. - w/ Jacques Emery (bass) and Alex Inman-Hislop (drums) unless otherwise noted. 17th April - PERTH | Perth Jazz Society at the Ellington Jazz Club. w/ Jamie Oehlers (tenor), Daniel Susnjar (drums). Double bill w/ Sarah Ramsey Group. In early May we'll also be heading into the studio, with a launch planned by the end of the year. In the meantime, hope to see you at one of the shows! It was an absolute treat to record Martin Kay’s surfing and Indian-gong-inspired work The Deep End at a new art & music space in Alexandria, on a brand new Fazioli and a room with an ear-boggling 7-second reverb. It’s not often you can get up off the piano bench after playing a chord and still hear it bouncing around the room for a few seconds. 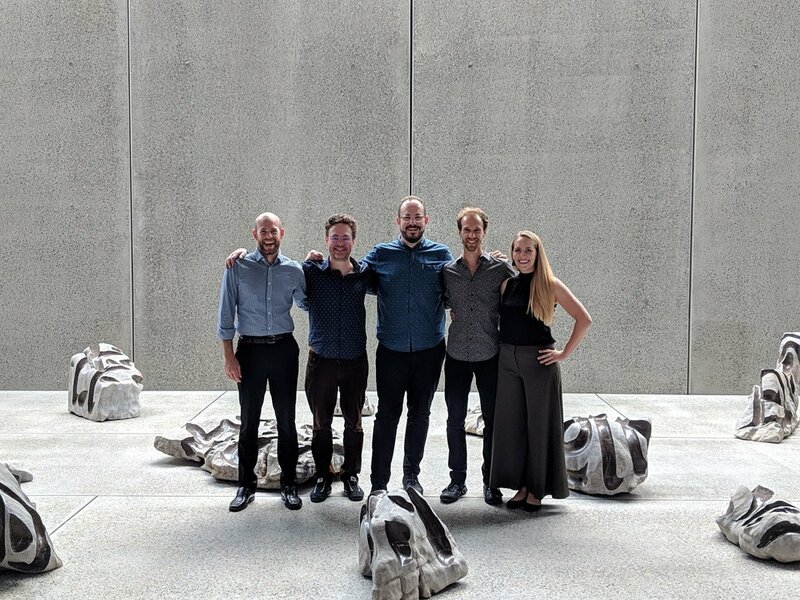 From left to right: Steve Barry - piano, Martin Kay - alto saxophone, clarinet and composition, Ben Carey - synth & electronics, Jamie Cameron - drums, gongs & rice, Emily Granger - detuned harp. I had a blast at the Perth Jazz festival over the weekend - many thanks to See-Saw magazine for this nice review of the triple bill solo piano concert that also featured the mighty Tom O’Halloran and Satoko Fujii (JPN). Sydney composer Steve Barry took the stage first and displayed masterful expertise, playing music from his recent solo album Hatch. His music was good evidence of his multi award winning talent. He started with a soft melodic number that transported me into a harmonious sense of peace. Then followed the cheeky insertion of a delightful interlude he described as ‘a little something’ followed by a tribute to Thelonious Monk. As Orbiturtle, Dave Jackson, Ko Omura and I are over the moon to announce the launch of Joganji - the album of improvisations we recorded with the incredible Japanese musicians Michiyo Yagi on koto and bassist/cellist Takashi Sugawa over three days in residence in Osaka's Joganji Buddhist Temple in January 2017. We're deeply grateful to the Australia Council for the Arts for their support to make the project a reality, and the temple master Michiaki Kouno for welcoming us to the use the space - which with its gilded shrine and intricate wood carvings, along with the dustings of snow outside, catalysed some magically connected music making. 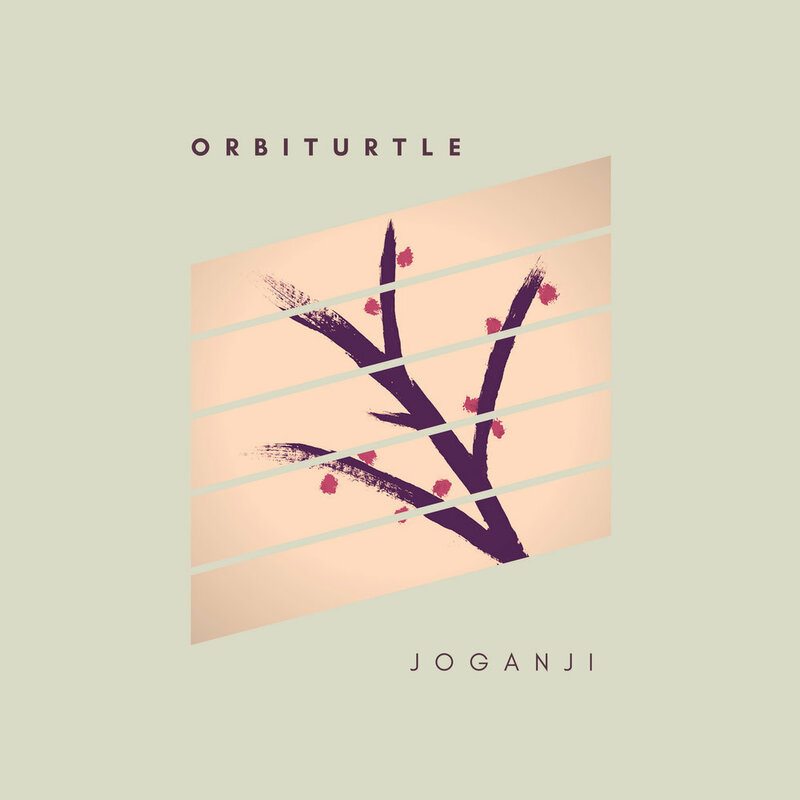 The music and a short essay on the residency can be found at https://orbiturtle.bandcamp.com/album/joganji, or www.orbiturtle.com! Digital downloads of the album come with an accompanying 16-page PDF photo & liner notes booklet. Judy and I have been improvising together since my undergrad lessons, and this concert marks both a continuation and a culmination of a long-running annual series of two piano concerts we've presented over the last 7 years. To celebrate this auspicious anniversary, we're recording this one for NZ contemporary music label Rattle Records! One of my pet peeves is the tendency of the cultural industry to wedge musicians into narrow stylistic categories, even though many artists practice across multiple styles and disciplines. Categories are convenient, probably even necessary, but categorisation is a reductive business. Categories describe general commonalities with other music, ignoring colourful particularity in the process. For this reason, I hesitate to call Steve Barry’s new solo piano album Hatch a jazz release, though Steve is an exceptionally fine jazz pianist.To frame Steve’s solo music from the point of view of his jazz credentials would seem to paint his engagement with modernist art music as a kind of tourist venture into the other, belying the depth with which he has clearly interrogated 20th and 21st century classical repertoire in the formulation of Hatch. Whether it is a jazz release, a classical release or something in between really depends on whether you define genre in terms of an artistic process or the musical tropes identified with particular styles. If one sides with the former perspective, the centrality of improvisation to Hatch distances it from classical methodologies, though its musical materials frequently reference notated traditions. I personally don’t think that the distinction is terrible important anyway because the music is exceptional regardless, and is stronger for its bucking of easy categorisation. I have known Steve Barry for some years now, having crossed paths with him at various gigs, workshops and festivals over the years. We are collaborating on duo piano music later in the year so in the interests of disclosure, I had a lot of admiration for Steve’s music before I heard this album. The present offering Hatch and his recent quartet album Blueprints and Vignettes (released on Earshift Music) demonstrate a striking out into vastly new territory in terms of aesthetic and musical materials. When I first heard Steve play at a piano workshop at the Australian National Academy of Music in 2011, his work aligned with the contemporary mainstream of jazz and he continued to hone this approach on his 2014 album Puzzles. I think it is fairly uncontentious to say that he was (and still is) one of the leading Australian based pianists working in this style. However a couple of years ago, I began to hear murmurs that Steve had been getting deeply into more experimental musicians from the New York scene including pianists Kris Davis and Matt Mitchell. I was surprised by the rapid evolution of his interests because it is rare to hear an artist so accomplished in a particular approach to re-evaluate the way that they do things so comprehensively. Steve opted for the difficult but rewarding path rather than the comfortable one, and this commitment to growth and integrity is commendable. When Blueprints and Vignettes released in January this year, I was deeply impressed by how completely Steve had consolidated ideas from the contemporary jazz avant garde. The inspiration of Matt Mitchell’s album Vista Accumulation is particularly present on Steve’s quartet music (perhaps a little too present), but Steve’s unique voice comes through on both albums and particularly on Hatch. His music has a lyrical sweep that I occasionally yearn for when I listen to Kris Davis, and it avoids the muscular severity that can be confronting in Matt Mitchell’s music (for instance Veins from Mitchell’s album Fiction or Plate Shapes from his recent release A Pouting Grimace). The compositions on Hatch are consistently inventive and varied. Steve has an impressive ability to improvise with intricate pitch structures and pianistic textures without ever sounding constrained by compositional parameters. Having struggled to achieve similar ends in some of my music, I can attest that this is a very difficult effect to carry off. It can only be achieved with a mountain of diligent study and practice. I was not surprised to read that this collection is the musical outcome of Steve’s PhD research. There are seventeen tracks on Hatch of varying durations so I will focus on just a couple to capture an impression of the territory covered. The opening track Microcosm grows out of a sketch for improvisation. It is an etude in crisp, free tonality articulated by lyrical, freewheeling melodies. Steve’s Improvisation expands from three sets of modules, linked by recurring contours and a consistency in the pitch organisation that is difficult to account for without close analysis. The modules that make up Microcosm are rich with information. The harmonies imply cadences in isolation, but their tonal allusions are dispersed when the sonorities flow swiftly from one to the next. his type of modular sketch, which is able to foster both improvised flexibility and conceptual focus, suggests the influence of approaches favoured by some of the leading exponents of New York’s jazz avant garde. 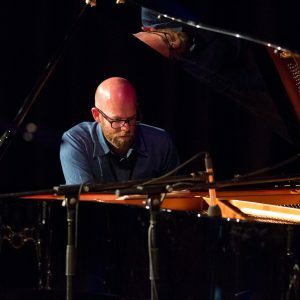 Piano virtuoso Cory Smythe’s solo pieces Blockchain from AUTOTROPHES and moon:Glow from Pluripotent are vivid points of comparison, though Steve’s sensibility is a little more romantic (think Schoenberg’s Six Little Piano Pieces, Op. 19). A sophisticated harmonic sensibility persists through all the transformations and brings to mind a miniature called Proem from Tim Stevens’ 2002 album Freehand (another Australian master of the solo format), though Tim’s composition resides a little more comfortably on the tonal spectrum. Steve’s improvisation in Codify, which appears later in Hatch, also responds to a notated modular template in a similar manner to Microcosm. Other tracks are more compositional in their construction. Spire is primarily notated, though it includes textures that are filled out with improvised elements. The form is sonata-like. The pitch materials and textures that are developed throughout the piece are defined within the first thirty-five seconds of the track. Spire begins with a sinuous arpeggiated melody that opens into a chordal passage, during which the arpeggiated movements continue in the left hand. These figures seem to repeat throughout the opening section (the exposition?) though they are actually already transforming. Spire is freely tonal rather than atonal. Many of the sonorities have triads embedded within them, made colourful by their combination with tones from other harmonic areas. The middle section of Spire (the development?) transfigures the opening materials in a variety of ways. Melodic cascades reference the opening gestures, and flow together to form more expansive linear passages that transpose and evolve. There are fleeting glimpses of tonal centers but the music swiftly moves in directions that defy their harmonic gravity. This impression is partly due to the predominance of melodic fourth and fifths, which appear frequently in tonal music but have a decentering effect when they are used as ubiquitous melodic units. Steve’s influences are quite diverse and this manifests in the remaining tracks. Tag! and Canon, inspired by Hindemith’s Ludus Tonalis, are lean and contrapuntal, based around two interweaving melodies. In contrast, Meander is inspired by the expressive improvised counterpoint of Fred Hersch’s music, though Steve’s less rhapsodic sensibility seems equally indebted to Paul Grabowsky’s solo music. Other tracks draw their inspiration from the music of American serialist Milton Babbit, the stemless notation of Morton Feldman, and the harmonic approaches of Olivier Messiaen. Hatch covers a lot of ground and hearing these influences filtered through Steve’s aesthetic as an improviser and composer makes for diverse and satisfying listening. The fact that the explorations informing Hatch are relatively recent makes this album particularly exciting for me because it suggests that this music is only the beginning. I can only imagine what will follow as Steve continues to mine modernist and experimental music for inspiration. Big thanks to John Shand for his 4-star review in today's Sydney Morning Herald. Music has a way of smoothing its own path. Given the chance, our brains readily accommodate complexity that comes via the ears, so the unfolding of even quite convoluted material can swiftly assume an air of inevitability. Of course relentless complexity may ultimately test powers of concentration, but pianist/composer Steve Barry is too savvy for that – and not, I suspect, because he is anticipating his listeners' attention spans. It is more that his own interests are diverse, and so, besides carving some challenging notated figures for his collaborators, he allows the music to unravel into pools of free improvisation in which mood and interaction predominate over any predetermined concepts. The album becomes a dialogue between the concrete and the abstract, and not always with the composed elements fulfilling the former role and the improvised the latter. Perhaps that is partly what makes it so gripping – that and the fact that Jeremy Rose (alto saxophone, bass clarinet), Max Alducca (bass) and Dave Goodman (drums) are attuned to Barry's ever-more distinctive and often diaphanous ideas, and these ideas allow all four players to flourish as improvisers. John Fenton has been reviewing gigs in and around Auckland for years, and he's been a huge contributor to the ongoing promotion and chronicling of NZ music happenings. Big thanks to John for this review of our show in Auckland on February 21st, 2017. This week I spoke to Nikos Fotakis at Australianjazz.net about the story behind Blueprints & Vignettes. How did 'Blueprints & Vignettes' come to be? What was the original concept? How did it evolve? There were a few catalysts for the record. The first was coming across set theory in David Cope’s Techniques of the Contemporary Composer and starting to play around with those sounds. In pitch-class sets I found a systematic way of investigating some ideas I’d discovered playing jazz & standard repertoire – approaches to harmonising V7 chords, for example (say using a maj7(b9) as a substitute for a regular dominant) or basing melodic lines on small cells of notes. I’m fascinated by harmonic colour, so the last couple of years of have definitely been a kid-in-a-candy-shop period. The second stimulus was hearing people like Matt Mitchell (on Fiction and Vista Accumulation), Marc Hannaford (Can You See With Two Sets of Eyes), Kris Davis (Waiting for You to Grow), Tyshawn Sorey (Oblique-1) and Scott Tinkler using pitch-set-like material in really broad and interesting ways - Blueprints & Vignettes is very much a reflection of their influence. How did you work on it? I set out to explore the full spectrum of tone colours that could be derived from each individual set, and covered most of the possible unique intervallic groupings of 4 or 5 notes. Most of the pieces on Blueprints & Vignettes are the product of inversions and transpositions of different collections of ‘seed’ sets - in each case around 5-9 members. I discovered that each individual set could be arranged (both vertically and horizontally) to produce a more or less dissonant tonality; each set contained a spectrum between (to my ears) structural stability and volatility. It was interesting how much just swapping the top and bottom or internal notes of a voicing, or expanding or contracting the range of a melodic line could change its character. There’s also plenty of space for open-ended/free improv on the record, in most cases based on and expanding the themes of the compositions. When I first listened to the album the first thing that impressed me was its pace and its use of space, both in arrangements and in the compositions themselves; how would you describe your approach to both elements? What was/is your aim? Pieces like Primed do have very systematic approaches to space – Part 2 is all formed around chord durations based on prime numbers, which contrasts with the soundscape-y/toy-instrument/extended-techniques free improv underneath the rubato melodic line in Part 1. I also wanted to juxtapose different types of musical activity - Mammoth ambles between sections of density and spaciousness, with each section being a different permutation of the material in the first few bars of the piece. The opening of Grind uses a cycling series of semi-quaver durations which gradually shifts through modes of itself, and the solo section is based on the same structure instead with longer durations. In #34 we freely morph the various themes of the head into a sort of collectively emerging hodgepodge. Ultimately my aim was to investigate the type of rule-based composition strategies that were pretty new to me at the start of the project, while allowing plenty of space for the guys to do their thing bring it all to life. How did you choose the musicians you worked with? What did each bring to the project? What are you looking for, in terms of musicianship? Dave Goodman, Max Alduca and I started playing together as a trio a couple of years ago and quickly discovered this really intuitive and empathetic way of navigating free improv. Jeremy Rose and I had been playing some duo for a while, and with both his vast knowledge as a composer and his beautiful sound on the bass clari was the obvious choice to round off the quartet. They’re also top blokes! The guys really got stuck in, and were amiable the whole way through to my relatively frequent edits and additions…I also didn’t write any drum-specific parts, so Dave pretty much just memorised all the material – no mean feat! The whole thing was an interesting process, in the sense that the compositions were very much open to revision after playing them through as a band; sections would stick out as being too formulaic or having an awkward flow, notation may have to be clarified rhythmically for ease of reading, or melodies were added to act as holding patterns as transitions from free improv back into the composition to minimise ambiguity/etc. I even rewrote/added a few things in between the recording and the release. Everyone put a lot of time into the project, and there’s no way I could have realised it without the guys’ dedication, musicality and mateship. One foot in the jazz tradition & one foot in contemporary classical music – a board canvas traversing between schematics and watercolours. Interesting question…anyone who comes to the gig? Haha. Really anyone prepared to turn up with an open mind and open ears. If 'Blueprints & Vignettes' was the soundtrack for a movie, what kind of movie would that be? Oh man, that’s a hard one – zero idea on any sort of narrative. I can picture a static image though – the music is hugely influenced by Kandinsky’s paintings, particularly pieces like Composition VIII with its juxtaposing of circles and sharp lines – and those colours! Many things. At the risk of rattling off clichés…nature. My fiancé and I live just down the road from Sydney’s Callan Park, a fairly large parkland 10-minutes from town littered with asbestos-ridden decrepit old buildings, which is a great place to pretend to escape the city. I spent a couple of weeks at the Arts Centre in Banff last year, and some time in rural New Zealand last week; I’m finding more and more that it’s things like hiking, cycling and generally decompressing away from the city that spawn new creative ideas – it’s easy to lose that open headspace around the usual work and teaching routines. Developing world travel, abstract art, practical philosophy (e.g. talks & content from Alain de Botton’s School of Life) and good design (especially urban/landscape/architecture) have all helped drive fresh perspectives over the last few years. Finally and obviously, all of the incredible music that keeps coming out of Australasia. Bjarke Ingels is the first to come to mind – a Danish “starchitect” revolutionising the way we consider urban spaces, sustainable living and community, particularly in the face of climate change. One project transforms a trash recycling centre into a giant roof top, man-made snow-park and ski-slope, complete with a chimney that puffs a giant smoke ring when various plant-efficiency targets are met. Awesome. My now old friend and mentor Roger Manins is another – without whom I likely wouldn’t have found the joy in playing music that propelled me to keep exploring it. As well as being a monster musician, Rog has also been a transformative influence on the jazz scene in Auckland, together with his partner Caroline and local saxophonist Ben McNicoll and the club (Creative Jazz Club Aotearoa) they founded nearly 10 years ago. I can only echo what plenty of people have said before: to me ‘jazz’ can be attached to any music that holds innovation, imagination and improvisation at its core, acts as an inter-cultural medium of sharing and dispersing musical and philosophical knowledge, and promotes interpersonal understanding and empathy. My fiancé and I are planning a wedding, so it’d have to be Hakuna Matata from the Lion King. On the first listen to pianist/composer Steve Barry‘s new album Blueprints & Vignettes I was so knocked out I made a flippant Facebook post which referred to him as cosmonaut Steve Barry. The PR release mentions influences such as Paul Bley and Eliot Carter, but I can hear other musical cosmonauts in there too: Ornette, Bartok, even the spirit of Debussy magical and hazy round the edges at times. The Barry sound is evident from opener ‘Mammoth pt.1’ – a fragmented ensemble line that seems to walk along a swaying tightrope. Pretty soon the group, in the solos, is dancing on that swaying tightrope with sure but light steps. ‘Mammoth pt.2’, which follows, is more meditative and darker, reflecting the yin-yang of the album. ‘Grind’ and album closer ‘#34’ both move across a bed of suggested swing. The melodies have a Monk-ish neo-neo-bop leap and shout to them the obvious rhythmic paths tug at Goodman and Alduca but they dont go there, preferring to blaze their own trails. Nice work. Searching for a new beauty. It is what musical cosmonauts do. And, if they are all as lovely, challenging and revealing as Blueprints and Vignettes, I look forward to further Steve Barry communiques from the outer reaches of the universe of music. I'm happy to announce Blueprints & Vignettes will be launched with an Australasian tour throughout February 2018. The album grew out of a period of exploring pitch-class sets, intervallicism and serialism during my PhD, and represents an attempt the synergise the jazz and new music worlds that I find myself at the nexus of. The album dances back and forward between intricate compositions and free improvisation in an exploration of harmonic hues and the spontaneous re-imagination of pre-set structures. (featuring special guest & rising star Thomas Avegnicos, tpt.) DOUBLE BILL with Jenna Cave & Keyna Wilkins. Pyramid Club, 272 Taranaki Street. Pt Chevalier RSL, 1136 Great North Rd. 27 Leslie St, Brunswick, $20/15. I'm looking forward to being a part of Martin Kay's epic work The Deep End, premiering at the Sydney Conservatorium of Music this Wednesday the 1st of November. 6:30pm - free entry. 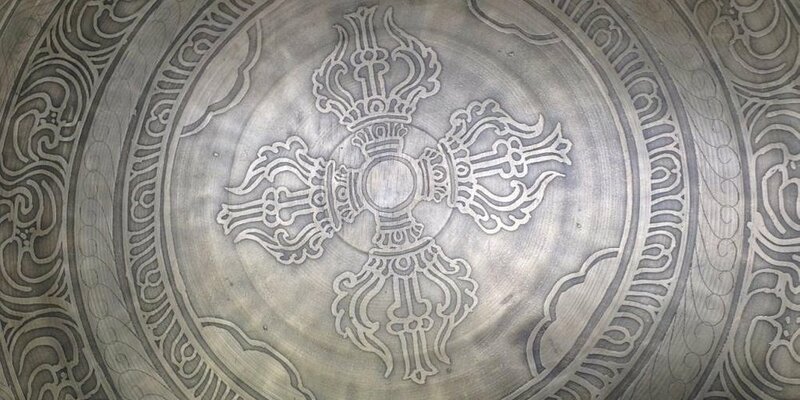 The Deep End emerges from the resonance of a Tibetan Gong Martin bought during his travels in India. The internal soundwaves of the gong transform the ensemble through scordatura harp, prepared piano, and modular synthesiser, saxophone and drums. From epic soundscapes to extended climaxes and rhythmic twists and turns, this multimovement work uses the experience of surfing, the unpredictability the ocean brings to a surfer's manoeuvres, as a metaphor for improvisation negotiating the composed backgrounds. The Deep End features five of Sydney's most innovative improvisors. Be tubed. Be dunked: Catharsis. It's an amazing two weeks of hikes, hangs and music making at the Banff Centre for the Composer-Pianist Collaborative, amongst an inspiring group of composer/performer/improvisers from around the world. Huge thanks to the incredible faculty of Steven Shick, Nicolas Hodges, Phyllis Chen. Winston Choi, Vicky Chow, Cory Smythe and Craig Taborn for making it such an open and engaging environment. Here's some music that came out of a new collaboration with drummer, composer and Columbia PhD candidate Vicente Hansen Atria.